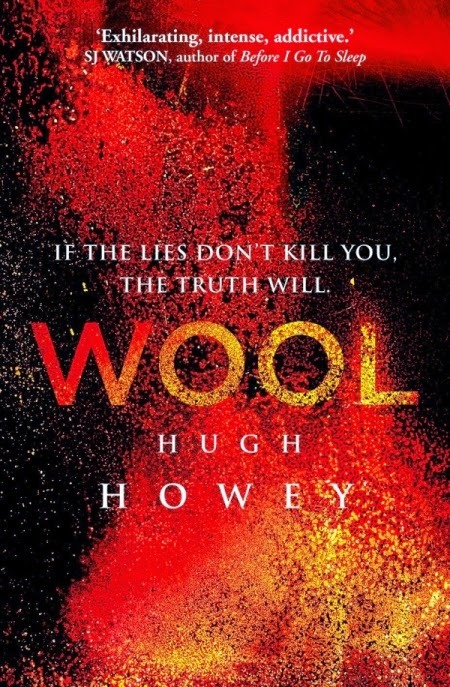 Wool is a science fiction/dystopian novel from Hugh Howey. The Wool omnibus is also the first book in the Silo series, but for those of you who are series shy, it can absolutely stand on its own. 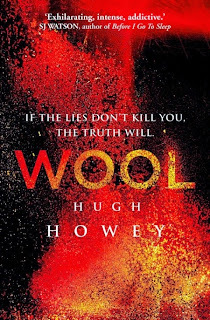 If Wool hadn't weighed in at 500+ pages, there's no doubt I would have immediately picked up the next book in the Silo series. I get reader burn out easy, though, so I know better than to jump into another chunky monkey from the same series. I'm happy to add the Silo series to my current favorites, and I look forward to reading Shift in the near future. If you haven't heard Hugh Howey's self publishing story, it is fascinating. Have you read Wool? Do you have any favorite dystopian books you'd like to recommend? I have heard so much about this one. I love dystopians. So I'll have to give it a chance one of these days. Great review! Thanks! I love dystopians, too. I'm thankful Wool has put me in the mood to read them again. I think I had this book confused with another book...so now that I've read your review it does sound like something I'd really, (really, really) enjoy. I love post ap. stories. :D I hope you get a chance to read it! And now you tell me it's a series? WHAT WHAT WHAT?? I had no idea! It's wonderful! They are TOTALLY going on my list!